Just knowing that BMW engine maintenance will never follow the general rules of domestic brand cars is enough to bring it in to a specialist. Your vehicle is designed differently from the ground up, and requires special care to be serviced properly. Our experience with BMW engine repair allows us to approach engine maintenance and repairs with the skill necessary to service your vehicle with efficiency and speed. Getting your luxury import back on the road quickly and with as little expense possible is our number one priority, and a skill at which we excel. For any driver in Phoenix AZ, BMW engine maintenance can be a frightening prospect. The real issue when it comes to any major engine repairs is to find out exactly what the problem is and find out what it will cost to conduct the proper engine maintenance. 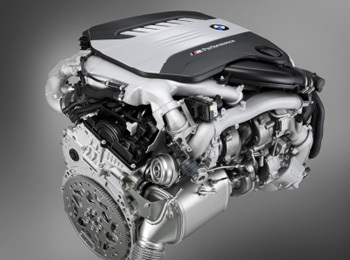 BMW engine maintenance is quite affordable as long as the proper maintenance is conducted at the correct intervals. Drivers who have owned many of these cars are aware of this and know that costs of BMW maintenance are small compared to the price of repairs and overhauls. Our goal is to help drivers get a leg up, and keep their luxury import running well for many years at the lowest possible price. Technicians who aren’t familiar with BMW engines are automatically at a disadvantage when it comes to making engine repairs. Because these vehicles have uncommon parts and operate a little differently than standard American vehicles, there are a different set of problems and components to watch out for. Because we specialize in BMW and Mini Cooper repairs, we have learned all the tricks, and the specific requirements of these wonderful pieces of mechanical art. Though there are several examples of this truth, we have chosen a few of the most common to explain in detail. Water pump - For many of the models released by BMW in the 90’s, water pump failure was the root of many BMW engine failures. The water pump is there to circulate coolant through and around the engine, keeping it at the proper temperature to operate at maximum potential. This was problem if often overlooked by mechanics that are inexperienced with BMW’s because in many other cars, the water pump is less likely to fail. If this issue is not recognized by the technician, it can lead to recurring issues that are quite expensive to solve. Check Engine Light – we have run across a few customers that came in asking for a new catalytic converter because an O2 sensor in their vehicle has gone bad. Imagine their surprise when a proper diagnosis revealed that the cost of their repair was significantly cheaper than they expected. Proper engine diagnostics requires experience and a mind for problem solving, rather than just reading an error code and breaking out the tools you think you might need. Radiator Coolant Leak – a coolant leak can lead to your engine overheating. If a leak is discovered, it becomes necessary to inspect the entirety of the cooling system before putting the car back on the road. We have seen more than a few examples of a radiator being replaced only to discover a leak further down the line at a future date. The engineering for BMW vehicles is actually quite superb, and small issues like this can be insignificant, if the technician has the knowledge necessary to maintain the vehicle the way it’s supposed to. The sad thing is that many drivers are driven away from owning a BMW because they experience serious breakdowns in quick succession due to the ignorance of their technicians. Give us a call or stop by and find out what we can do for your luxury import vehicle.